One of the things I see as a Canadian working in the USA in these times is that politics takes a second seat to actually working on problems at the local and community level. My experience in the past few years has been working with diverse groups of people people on issues such as disability inclusion, the future of churches, anti-violence, social justice, immigrant and refugee services, health promotion, public education alternatives, fisheries policy engagement, and palliative care. Some of these groups have been made of of folks with shared politics, but many have included people from across the spectrum. 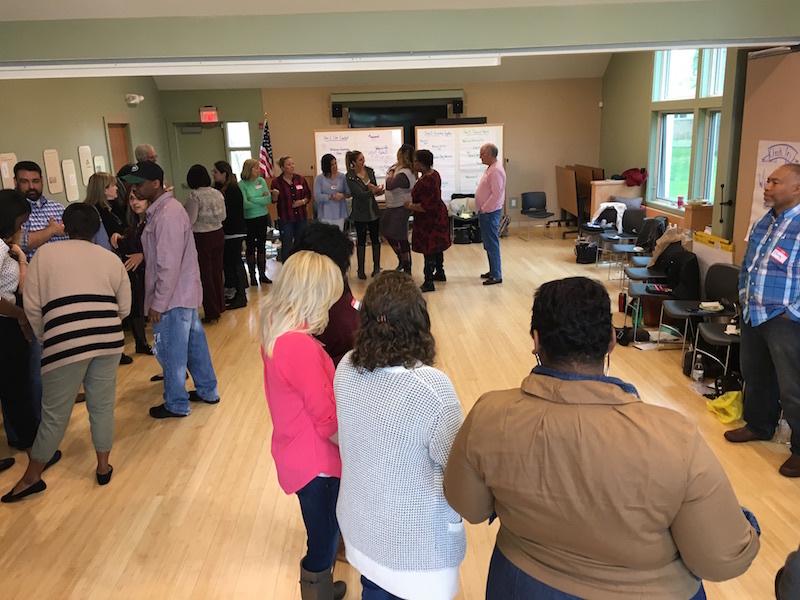 I have been working with groups of people that are diving in together on some important shared work for their communities. The divisiveness that everyone associates with American civic dialogue is usually highly muted when there is actual work to do. I find that on the ground, our work has not been hampered or even really affected by the political divisions that are appearing in the public conversation. At the least there is some smoke and heat, but then we just get down to work. This is interesting to me because it suggests that while people might hold a firm ideology about what direction the country SHOULD be going in, there is very little impact of that ideology in the grounded work of day to day problem solving. We run into the ideology when work we are doing begins to require political support, and the elected officials, who are more and more guardians of a mindset rather than stewards of possibility, apply their lens to support or stop things. I have witnessed many times people frustrated by their own elected officials, from their own parties who stop good work on the basis of ideology. And yet these same people, outside of their own projects, demand a kind of ideological test of integrity for anyone wanting to run for office. The cost of the divide is that good work at the community level often gets blocked at the policy and governance level. I think addressing the “divide” question head on actually results in the divide become more and more real and more and more debilitating. I’m not saying that you should ignore it, but I am suggesting that people’s passion and attention are better used solving actual problems, and when they sit down and work together, it is remarkable to me how unified Americans can still actually be.